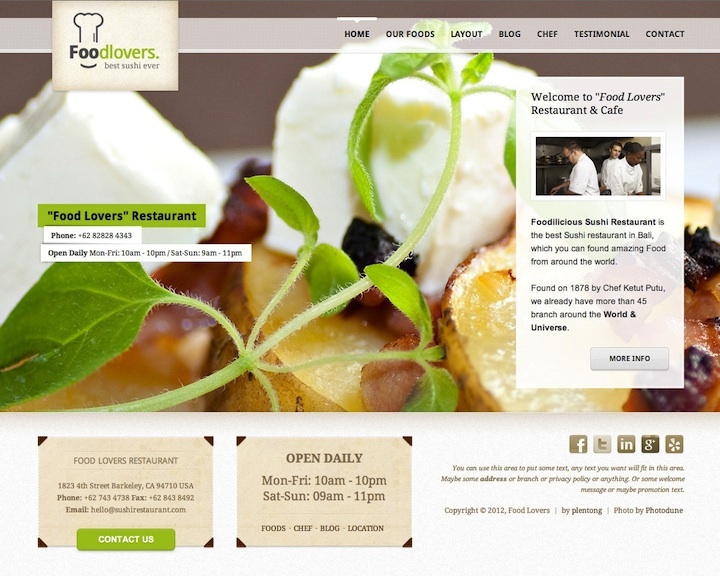 Foodlovers Restaurant Elite template has 2 variations color (Light and Dark). You can use it for anything especially for Restaurant or Cafe. This template only for WordPress 3+. This theme supports custom menu and 7 widgetized areas and featured images (thumbnails for post, testimonial, team, foods and gallery). This template also have 5 custom post (Testimonial, Gallery, Team, Foods and Address).